The first recipient of the Doris Malkin Curtis Medal award is Dr. L. Frank Brown, Jr. of the Bureau of Economic Geology at The University of Texas in Austin. In his five-decade career, Frank has been a leader in the development of studies in depositional systems, seismic stratigraphy, and later an advocate for sequence stratigraphy. L. F. (Frank) Brown Jr. was born in eastern Oklahoma in 1928, shortly after the peak oil-boom days of the 1920’s. His father would work 40 years for Gulf Oil in the production department. Frank financed his education by working summers as a roustabout and sometimes roughneck. He attended school in Drumright, Oklahoma, a little hilly, dirty, oil boomtown of 3,000 souls built atop exhumed Virgilian channel-mouth bars near the Pennsylvanian-Permian boundary. His family hoped that Frank would enter the medical profession to follow in the footsteps of his maternal grandfather, a country doctor who practiced half a century in the Somerville area of Burleson County, Texas. Indeed, Frank finished a 4-year premedical (B.A.-equivalent) program at Baylor University in 1950, majoring in chemistry and biology. But rather than medical school, he instead answered the call of the oil search and completed a B.S. degree in geology at Baylor in 1951. Frank entered the University of Wisconsin at Madison in the fall of 1951 and received an M.S. degree in 1953 and a Ph.D. degree in geological and geophysical sciences in 1955. His graduate work was supervised by the late Drs. Lewis Cline and Lowell Laudon. His research involved ammonoid biostratigraphy, X-ray mineralogy of clays within Pennsylvanian cyclothems, and distribution of smaller (arenaceous) foraminifers within cyclothemic shales. After completing his Ph.D. degree at Wisconsin, Frank accepted a job with Standard of Texas (Texas Chevron subsidiary) in Amarillo, Texas, where he was assigned to the Palo Duro Basin and the Amarillo Uplift team. In early 1957, Frank accepted a position as research scientist at the Texas Bureau of Economic Geology, at the University of Texas, Austin. His assignment by Bureau Director Dr. John Lonsdale was to initiate and carry out stratigraphic studies of Pennsylvanian rocks on the Eastern Shelf of the West Texas Basin. His work was intended to continue that of long-time Bureau geoscientist, Dr. Fred Plummer, who had passed away in 1953. This assignment involved fieldwork and subsurface studies using ancient SP and resistivity wireline logs (no seismic or modern wireline data back then!). As part of the fieldwork, Frank also was assigned to begin mapping the Abilene 1° × 2° Geologic Atlas Sheet for the Bureau’s statewide mapping effort directed by Dr. Virgil Barnes. Frank later contributed mapping on the Brownwood, Wichita Falls-Lawton, Corpus Christi, Kingsville, and McAllen-Brownsville-Harlingen Geologic Atlas Sheets. Frank was awarded the first honorary membership of the Permian Basin SEPM for leading a field trip for that section in 1960. Also in 1960, Frank accepted an assistant professorship in geology at his undergraduate alma mater, Baylor University. There he taught many undergraduate and graduate courses, directed the Baylor Student Geological Society, established and edited the biannual Baylor Geological Studies Bulletins, and supervised M.S. research of those Baylor students whose theses were stratigraphic studies of Pennsylvanian rocks in North-Central Texas. Frank also continued fieldwork during the hot summers of 1961–63 for the Texas Bureau in North-Central Texas. In 1966, the new Bureau Director, Dr. Peter Flawn, brought Frank back to the University of Texas full time as a research scientist, where Frank continued the Eastern Shelf studies. With the help of Baylor graduate Jerry Goodson, he also finished mapping of the Abilene Atlas Sheet (which was published in 1972). Upon his return to the Texas Bureau in 1966, Frank began a long-term research initiative on ancient deltas (and other siliciclastic systems) with Dr. W. L. (Bill) Fisher, who had been hired by the Bureau in 1960 to replace Frank when he moved to Baylor. Their work led to the concept of “depositional systems” (mostly Bill Fisher’s innovation), which was presented to several hundred industry geologists at a University of Texas research symposium in the summer of 1969 titled “Delta Systems in the Exploration for Oil and Gas.” Frank began to publish some of the results of his Pennsylvanian studies, beginning with the 1968 Gulf Coast Association of Geological Societies Annual Meeting, where he won a third-place award with his non-Gulf Coast study. In 1967 Frank and Dr. Jerry Wermund led an AAPG field trip to outcrops in North-Central Texas for the annual meeting in Dallas, and Frank led another field trip to the Pennsylvanian outcrops at an annual GSA meeting in Dallas in 1973. In 1969, Frank was assigned to direct the Bureau’s Gulf Coastal Environmental Geology project. The six-volume environmental series covering the entire Texas Coastal Zone, which was finished during the 1970’s, contains multicolor geologic maps of the Texas coastal Pleistocene and Holocene, many derivative environmental maps, and extensive text. Frank was also assigned to manage the Bureau’s long-term Nuclear Waste Isolation Study of the Palo Duro Basin (1977–1985) for DOE, and he later managed the Super Conductor Super Collider Project for the State of Texas (1993). In 1972, AAPG invited Frank to present his Pennsylvanian research by way of a Distinguished Lecture tour. Frank also presented the results of the Bureau’s Gulf Coastal Environmental Studies. Because of this two-topic combination of basin study and coastal environment, Frank was booked to present one or the other lecture at 65 societies and geology departments—a record number for AAPG. Even the Ivy-league schools booked the tour because of the environmental lecture! At this time, Frank and Bill Fisher began a joint consulting venture with the Brazilian national oil company, Petrobras. For 10 years, Bill and Frank brought Petrobras geologists and geophysicists to Austin to spend three to six months in intensive analysis of an offshore Brazilian basin. It was during their Brazilian studies that they developed seismic stratigraphic interpretations of the passive and rifted Brazilian basins, which led to a contribution to AAPG Memoir 26 (1977) on seismic stratigraphy, a volume promoted by Peter Vail and Bob Mitchum of Exxon. Because of his involvement in that AAPG Memoir, Frank ended up teaching in the AAPG Seismic Stratigraphy School during its entire 10-year life (1977–1987). In turn, Frank’s teaching of thousands of geologists from all over the world in the AAPG School led to his receiving invitations to consult in many countries. Because the University of Texas permitted employees to consult on annual leave time, during the 1970’s–1990’s, Frank found himself either training or performing hands-on basin research for many companies globally—eventually visiting a total of 25 different countries. From this consulting Frank developed a special relationship with Soekor, the national company of South Africa, which hired him for eight years to train its staff members in seismic and sequence stratigraphy during four-month sessions in Austin. As an outgrowth of the South African research, Frank and Soekor colleagues authored AAPG Studies in Geology No. 41 (1996), a presentation on “Sequence Stratigraphy of Offshore South African Basins—An atlas on Exploration for Cretaceous Lowstand Traps by Soekor (Pty) Ltd.” In 1986 the Petroleum Exploration Society of Australia made Frank its Distinguished Lecturer. In 1990, Frank was awarded the “Monroe Cheney Award for Contributions to the Petroleum Geology of the Southwest” by the Southwest Section of AAPG. In 1993, he was asked to participate in an AAPG International Distinguished Lecture Tour to the Middle East and subcontinent. Frank retired from The University of Texas at Austin in 1989 to undertake full-time geologic consulting. He and Soekor staff members began international consulting ventures in the 1990’s in Chile and New Zealand, and he also carried out a multiyear consultation with Mobil, visiting most of its foreign and domestic offices to introduce sequence stratigraphy to staff members. 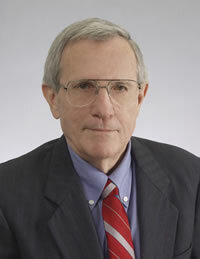 Because of illness, Frank stopped consulting in 1996, but in 1999, he was invited to return to the Texas Bureau of Economic Geology as a Senior Research Fellow. During this time at the Bureau, Frank contributed to studies in Venezuela, the Mexican offshore, and Texas Gulf Coast Tertiary (Frio) sequence studies, which were published recently in the AAPG Bulletin, the GCAGS Transactions, and the GCSSEPM Foundation Research Conference Proceedings. He is currently working on the sequence stratigraphy of the Woodbine Formation and is completing a chronostratigraphic (Wheeler) document of the Gulf Coastal Basin Tertiary systems tracts. Because the GCSSEPM Doris Malkin Curtis Medal was created to recognize geologists for their career contributions, it is altogether fitting that Dr. L. Frank Brown Jr. be its first recipient.